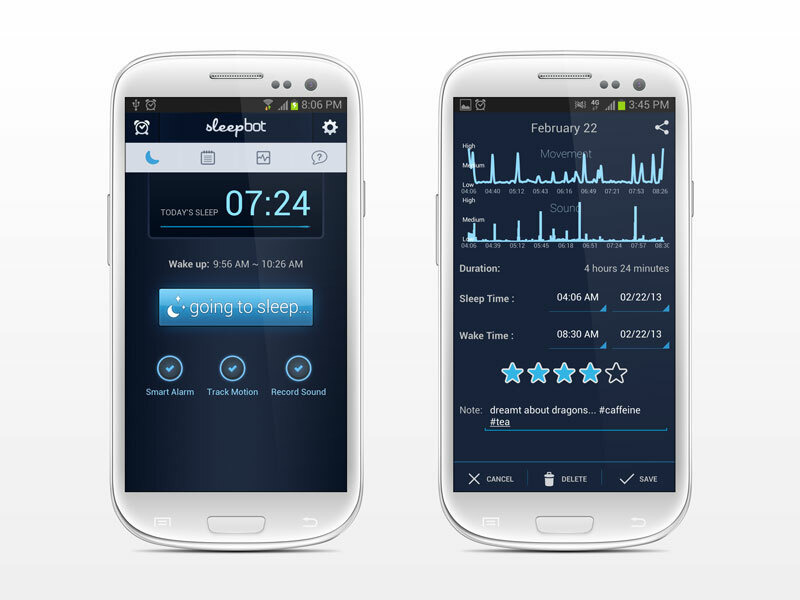 SleepBot is a sleep tracking platform available on Android, iPhone, and web. 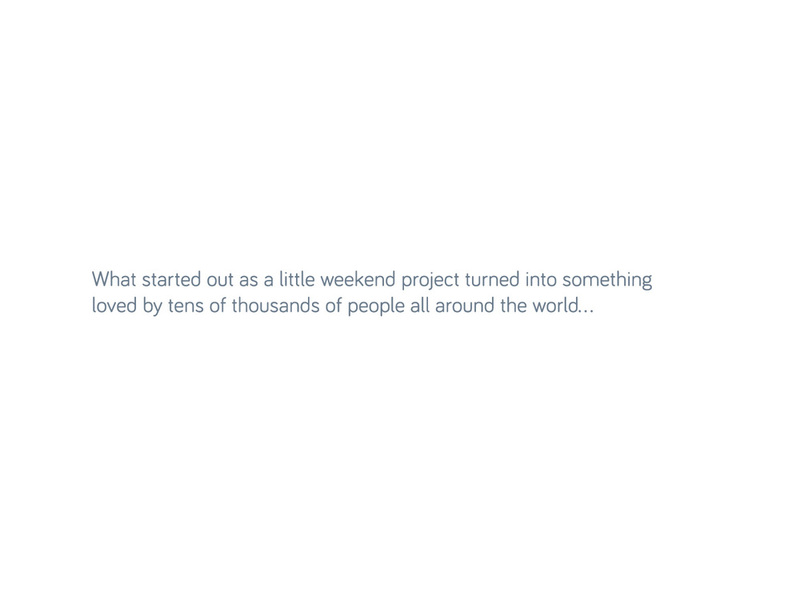 I started SleepBot while I was studying finance at NYU. In the midst of all-nighters and finals week, I thought it'd be fun to make something that could calculate how much sleep students missed each night. 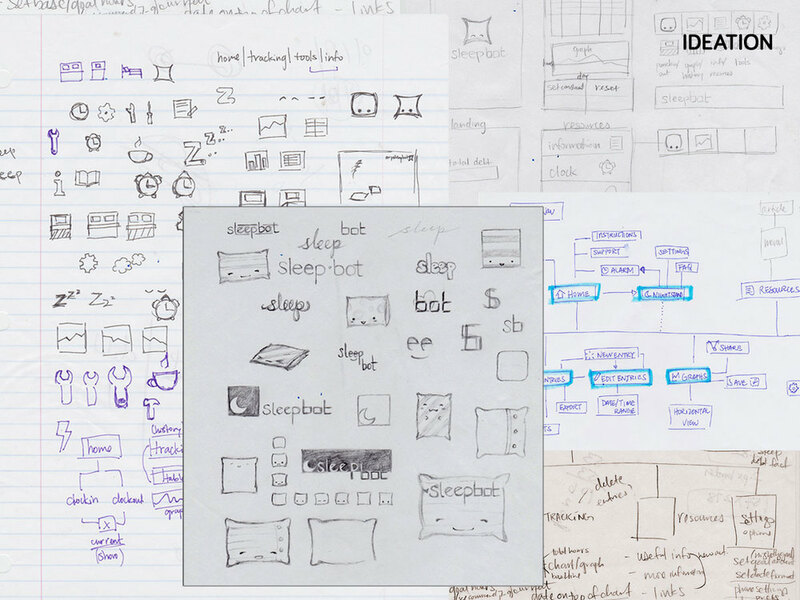 SleepBot was my first technical project, and how I learned UX/UI design and HTML/CSS. 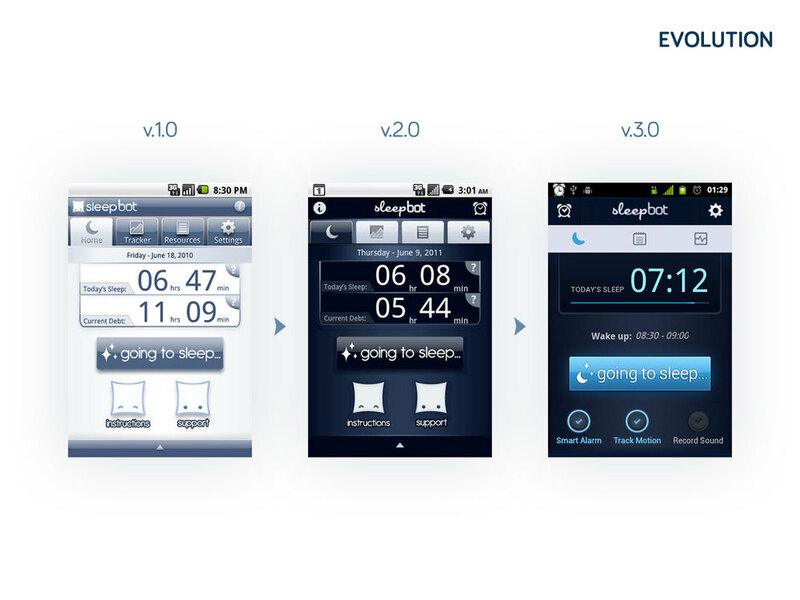 We stopped updating SleepBot in summer 2013, but the application is up on Google Play and the iTunes Store. 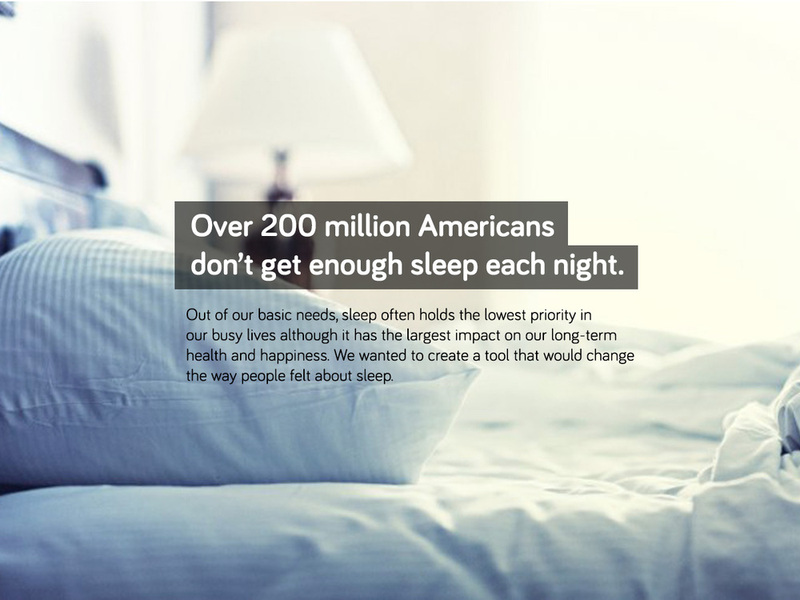 SleepBot has over 5.5 million downloads, and a 4.25 average rating. SleepBot started as a fun side-project in July 2010. My co-founder and I had no experience in application development or design, and hacked together a basic sleep logger over a month. Since then, it has gone through three major versions, introducing smart alarms, movement tracking, sound recording, graphs, resources, and hundreds of updates. We considered taking the application down since we stopped updating it in 2013, but with over a million active accounts, we continue to leave it up as a free resource for our users. We built the iPhone application in 2012. In addition to the features available on the Android version, SleepBot for iOS includes unique alarm ringtones, and sleep soundtracks we created ourselves. 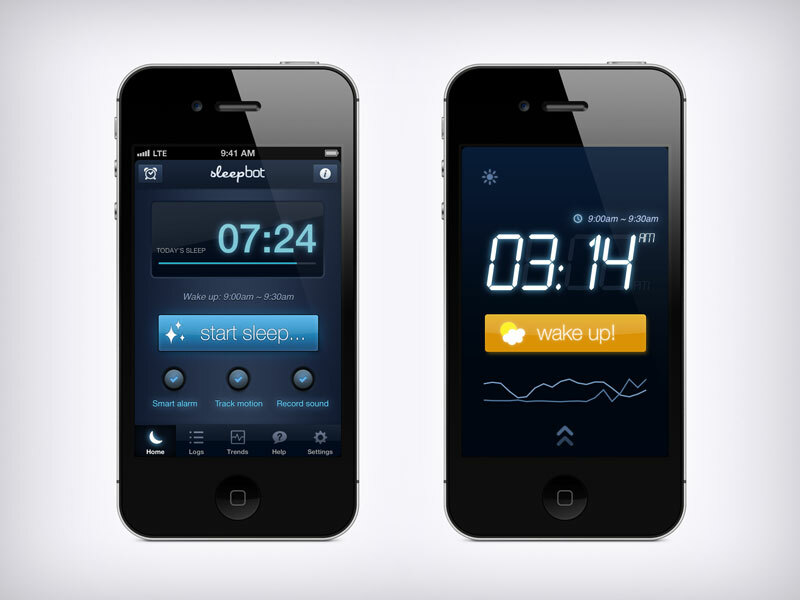 SleepBot was the first third-party alarm on iOS that continued to work even if users left the application. The online dashboard allowed users to sync, view, and share their data online. Sync across devices was not a norm back in 2011, so although SleepBot synced automatically, we needed to make an actual "sync" button for users, and walk them through the process. "Punching in" (starting sleep tracking) would do so on all devices you were logged into, and made it possible for you to start sleep on your phone, and then end sleep on your iPad, your laptop, etc. SleepBot has been featured in Re/code, Business Insider, WIRED, New York Times, WSJ, Pandodaily, Huffington Post, Lifehacker, Fast Company, and many more. It has also won the NYU New Venture Competition, AT&T Developer Hackathon (video), and IOM/NAE Health 2.0 Challenge (video at 1:56:00).